Former Marine Sgt. Cuauhtemoc "Temo" Juarez with his wife Alejandra and their daughters, now 8 and 16 years old. 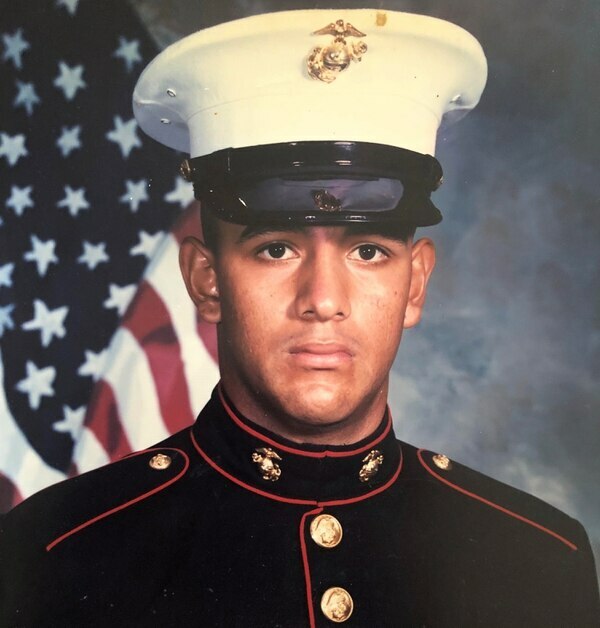 Temo Juarez served as a Marine from 1995 to 1999, then deployed to Iraq as a member of the Florida National Guard. Unless DHS re-examines their case, the family will be split this April. Alejandra, who entered the U.S. illegally in 1998, has orders to report to immigration for deportation to Mexico April 11. Despite an announcement by Defense Secretary Jim Mattis that active duty, honorably discharged veterans, Reserve and National Guard forces are protected, their families remain in jeopardy of deportation. The day after the first family stepped forward, more followed. In the wake of a Military Times story published Feb. 28 about a retired soldier’s wife who was facing deportation under the latest Department of Homeland Security policies, others from the military community reached out with similar stories of fear and uncertainty regarding immigration rules. “My name is Alejandra Juarez and I just read your article. Today is not a good day for me, as my deportation date approaches. My story is the same...” wrote Juarez, who is married to an Iraq veteran and former Marine and Army national guardsman. Then an undocumented husband of an active-duty female soldier wrote in. 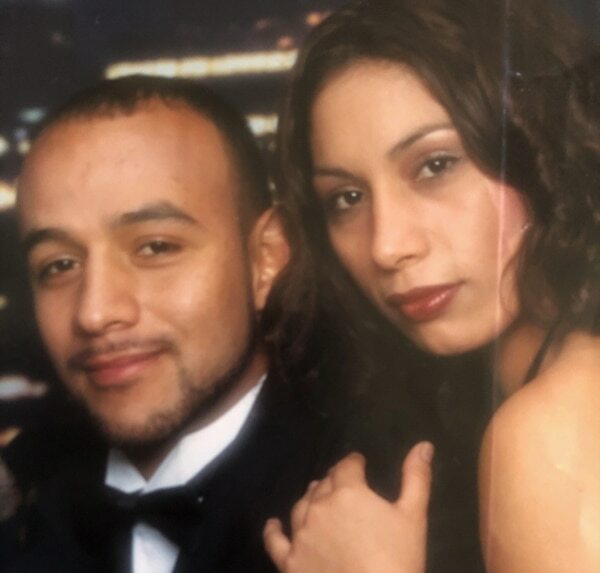 “We’ve been waiting for [U.S. Immigration and Customs Enforcement] to come pick me up,” he wrote from Texas, where he manages the family when his wife deploys. Then came a Maryland Army national guardsman and full-time police officer who was worried about his wife. “I’ve spent thousands and I am still in the process,” of protecting his wife, the guardsman said. The couple filed immigration paperwork in 2015. They didn’t get their hearing until January 2018; the case is still unresolved, he said. “I was deployed and worried that my wife and child would be deported by the same country I was fighting for,” the guardsman told Military Times. Last week, Military Times wrote in detail about retired 7th Special Forces Group Sgt. 1st Class Bob Crawford. Crawford and his wife Elia were facing the possibility that a Virginia immigration court would decide to deport her on Monday. After years of saying nothing, he decided to make his case public, and the story drew nationwide attention. By Thursday night, after intense public interest, the Department of Homeland Security announced an offer to drop the removal proceedings against Elia — one step in a process that should allow her to stay in the U.S. with Bob and their two kids. “Hopefully this brings attention to the flaws in the system so other families won’t have to worry or have the stress of going through this,” Bob Crawford said the day after the story about his family published. There are policies in place to protect undocumented spouses, children and parents of military personnel. But each family that contacted the Military Times described long bureaucratic delays as cases were transferred between government offices or agents and thousands of dollars spent on legal bills, only to find that the particulars of their cases led them back to square one. They also described fighting a general assumption that there’s no problem to solve. Until President Donald Trump announced a harder line on deportation, the families were more frustrated by the bureaucracy than they were fearful that deportation would result. It’s not clear where the Trump administration stands on the issue of deporting military spouses, either. Defense Secretary Jim Mattis told reporters Feb. 8 that active-duty, honorably discharged veterans, Guard and Reserve forces would be protected, as long as there was not a court ruling in place and they had not committed a serious felony. But it was not clear what categories of serious felonies were included. It was also not clear if those same protections applied to the service members’ spouses, parents or dependents. In 2010, Vice President Mike Pence, then a Congressman from Indiana, made his views clear on the issue in a bipartisan letter he and many other lawmakers sent to then-Secretary of the Department of Homeland Security Janet Napolitano. “Many soldiers are unable to secure legal immigration status for their family members, even as they risk their lives for our country,” the letter read. The letter had four chief signators: Rep. Mac Thornberry, R-Texas. current chairman of the House Armed Services Committee; Rep. Zoe Lofgren, D-Calif.; former Rep. John Conyers, D-Mich.; and current Vice President of the United States, Rep. Mike Pence, R-Ind. “As this country is engaged in two wars in Iraq and Afghanistan, we must do everything we can to address the immigration needs of our soldiers,” the members said. In her response, Napolitano referenced “parole in place,” which allows spouses, dependents and parents of service members to stay in the U.S. while clearing their immigration status, even if they entered illegally. That policy was started in 2007, but was used sparingly until the members spoke up. For Alejandra Juarez, 38, the Crawford’s news was a glimmer of hope. “I thought I was the only one,” Juarez said. She and her husband, former Marine Sgt. Cuauhtemoc “Temo” Juarez have spent thousands of dollars in legal fees fighting her deportation. Juarez crossed illegally into the U.S. from Mexico in 1998 as an 18-year-old. Temo Juarez was an infantryman who served in the Marines from 1995 to 1999, first with 1st Battalion, 8th Marine Regiment. He took part in Operation Silver Wake, the evacuation of non-combatants from Albania in 1997. He served in Africa in the Democratic Republic of Congo and then deployed with 3rd Battalion, 8th Marines throughout South America. After his contract was complete, he joined the 2nd Battalion, 124th Infantry Regiment of the Army National Guard in Orlando. Temo and Alejandra Juarez married in 2000, their daughter was just 12 months old when Temo deployed again. The attacks of “9/11 happened and we got activated in December 2002,” Temo Juarez said in a phone interview from the family’s home in Davenport, Florida. His unit deployed to Jordan and then Iraq, where they provided security for the newly-formed Coalition Provisional Authority, senior military leadership, the media and Iraqi diplomats at the Baghdad Convention Center. According to his military separation paperwork, Temo Juarez earned multiple commendations, including two National Defense Service Medals, an Army Commendation Medal, Meritorious Unit Commendation, Marine Corps Good Conduct Medal, and other award citations. Now their two daughters are 16 and 8 years old. Temo Juarez owns a flooring business and Alejandra is a stay-at-home mom. The lawyers they hired have not helped; one required payment up front then nothing happened, Temo Juarez said. For a long time, they did not make their case public. They know there are stereotypes about immigrants. It’s not just them. The Maryland National Guardsman also said he’s kept his problems private because of how many of his friends and fellow service members have surprised him with unsolicited, sharply anti-immigrant views on Facebook and even in person ― especially in the last year. “They don’t know about my wife,” he said. Alejandra Juarez said she reached out to their congressman, Rep. Darren Soto, D-Fla., for help, but had no luck. Alejandra Juarez, left, and her two daughters. Alejandra's oldest daughter was 12 months old when her husband was reactivated to deploy to Iraq in Dec. 2002. She is scheduled to be deported to Mexico in April, splitting the family. Pina said their records showed Alejandra Juarez’s outreach was limited to asking them to support legislation that would help her case. According to her case file, Juarez has been ordered to report for deportation by April 11, and depart the country by April 25. 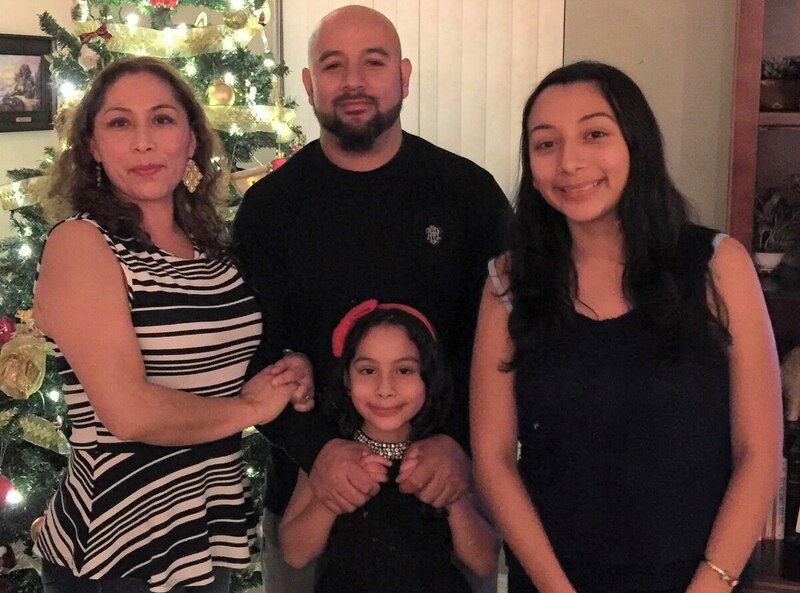 She has met every six months with the immigration agents who will be tasked with deporting her, and asked if the article could emphasize how much respect they have shown her as a military wife. “They are good to me. They just don’t have the jurisdiction” to drop the deportation, she said. Temo Juarez said he hopes that coming forward now, as the Crawfords did, could get the family’s case a second look. 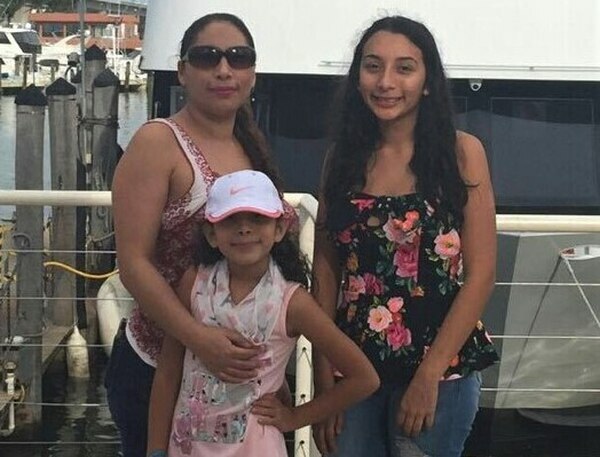 If Alejandra Juarez is deported, the family has decided she will take their 8-year-old with her, but leave her 16-year-old here. “Mexico is too dangerous,” Juarez said as she began to cry on the phone. Both daughters were born in the U.S. and speak no Spanish. Juarez fears her pretty teenager would become a kidnapping target.